An Aramco tank is seen at Saudi Aramco’s Ras Tanura oil refinery and oil terminal in Saudi Arabia. Saudi Arabia's decision to shelve what was billed as the biggest share sale ever is a major blow to the credibility of Crown Prince Mohammed bin Salman but there are other ways to finance reforms to strengthen the economy, bankers and investors say. The initial public offering (IPO) of 5 percent of state-owned oil giant Saudi Aramco was a centerpiece of the crown prince's plan to diversify the kingdom's economy beyond oil by raising $100 billion for investment in other sectors. The decision to shelve the IPO raises doubts about the management of the process as well as the broader reform agenda, sapping the momentum generated by Prince Mohammed's dramatic 2030 Vision announcement in 2016 that helped propel him to power in the world's top oil exporter. "The problem is: the more it gets delayed and the more there's not clarity on why it's getting delayed and what the issues are, the more it undermines confidence," said James Dorsey, a senior fellow at Singapore's S. Rajaratnam School of International Studies. "He's been very good at creating expectations but not as good at managing expectations," said Dorsey. "The reform process has to be judged on its entirety and over a period of years but this will negatively affect perceptions of its credibility overall, considering that the IPO was promised in such high-profile terms," said Richard Segal, senior analyst at Manulife Asset Management in London. Prince Mohammed launched his Vision 2030 program with promises to fundamentally transform Saudi Arabia's economy and open up its people's cloistered lifestyles. He has implemented a series of high-profile reforms, including ending a ban on women driving and opening cinemas in the conservative kingdom. The crown prince's increasingly aggressive stance towards arch-rival Iran and in relations with supposed friends such as Canada and Germany has unnerved allies and investors alike. "The Aramco IPO was supposed to be an example of a new global level of transparency. Perhaps because there's so much going on and so little explained, it looks like they've gotten worse at transparency," said a former senior Western diplomat. But some bankers said the reform program was far bigger than the Aramco IPO and, despite the possible political fallout, many changes could still go ahead, or even accelerate, now that senior officials are no longer preoccupied by listing Aramco. "The reality is there is a lot of other stuff that the authorities could do before doing this huge move of the Aramco IPO," said a senior banker whose institution pitched to help arrange the sale. Riyadh's circumstances have improved greatly since plans for the IPO were first announced in 2016. MSCI and FTSE Russell decided this year to add Saudi Arabia to their emerging market equity indexes, so even without the IPO the kingdom can expect an inflow of $20 billion or more of foreign funds next year. In July, Riyadh published draft rules for partnerships between the state and private firms to build infrastructure. Last week, the kingdom's water utility said it was talking to international companies about involving them in water distribution and treatment. In addition to Aramco, authorities have said they aim to sell another $200 billion worth of state assets in the coming years. While many analysts say this looks ambitious, freezing the Aramco IPO may clear the way for smaller sales to go ahead. "The IPO always had important symbolic value but would not have affected the rest of the Saudi economy very much," said Steffen Hertog, associate professor at the London School Economics and Political Science and a leading scholar on Saudi Arabia. "Challenges like private job creation for Saudis and improving the legal and regulatory environment for local and foreign investors are more important for kingdom's long-term economic health," he said. While Prince Mohammed put the value of a 5 percent stake in Saudi Aramco at about $100 billion, analysts reckon the IPO would have only raised some $50 billion to $75 billion as the prince's valuation was over-optimistic. The money would have gone to the government's Public Investment Fund (PIF), largely to fund projects creating jobs. With unemployment among Saudi citizens officially at a record 12.9 percent, finding ways to boost employment is seen as vital. 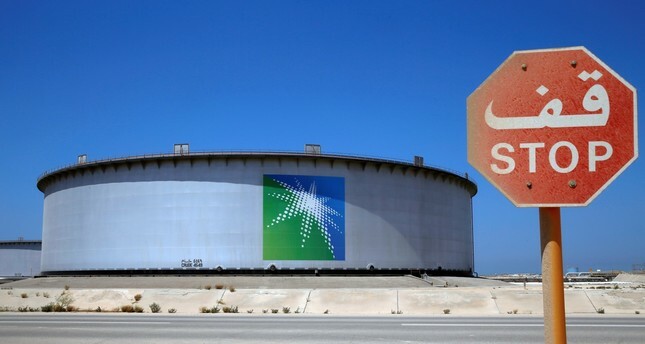 But even without the IPO, those projects could still go ahead because Aramco said in July it may buy a strategic stake in petrochemicals maker Saudi Basic Industries (SABIC) from PIF - potentially giving the fund as much money as the IPO. At market prices, the sale of the PIF's entire 70 percent stake in SABIC to Saudi Aramco would raise about $70 billion.